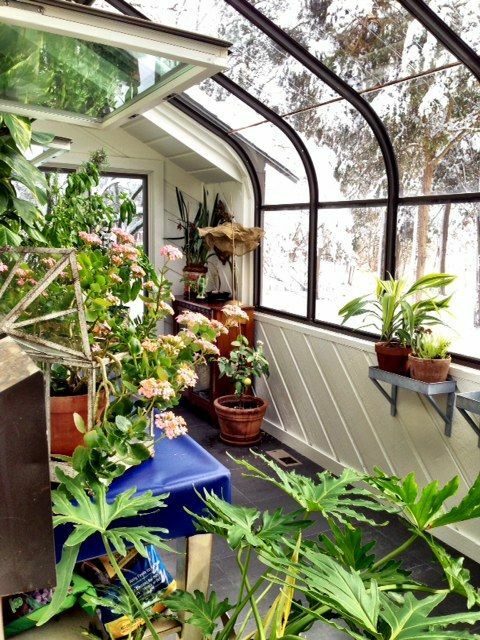 If you have ever been inside a greenhouse, you know that even in the dead of winter, it can be a balmy, tropical oasis inside. This is because of the greenhouse effect: energy from the sun enters the greenhouse, but the glass ceiling and walls trap some that energy inside, keeping it warm. Greenhouse gases, like carbon dioxide (CO2), methane, water vapor, nitrous oxide and others work in a similar way. They allow the sun’s energy to pass through the atmosphere to reach the earth’s surface, where it warms the ground, provides the basis for photosynthesis, and heats the oceans. The earth’s surface then radiates that energy back into the atmosphere, where some of it is trapped by greenhouse gases. This causes the earth to warm even more. Think of greenhouse gases like “Goldilocks” gases – the earth needs some greenhouse gases to support life, otherwise the planet would be too cold, however, too much of these gases in the atmosphere will make the earth too hot for the ecosystems that exist today. As more and more greenhouse gases are emitted into the atmosphere by human activity, the hotter the planet gets. Before humans started pouring greenhouse gases into the atmosphere during the industrial revolution in the early 1800s, the carbon dioxide concentration was about 280 ppm (parts per million). This is known as the pre-industrial carbon dioxide level. 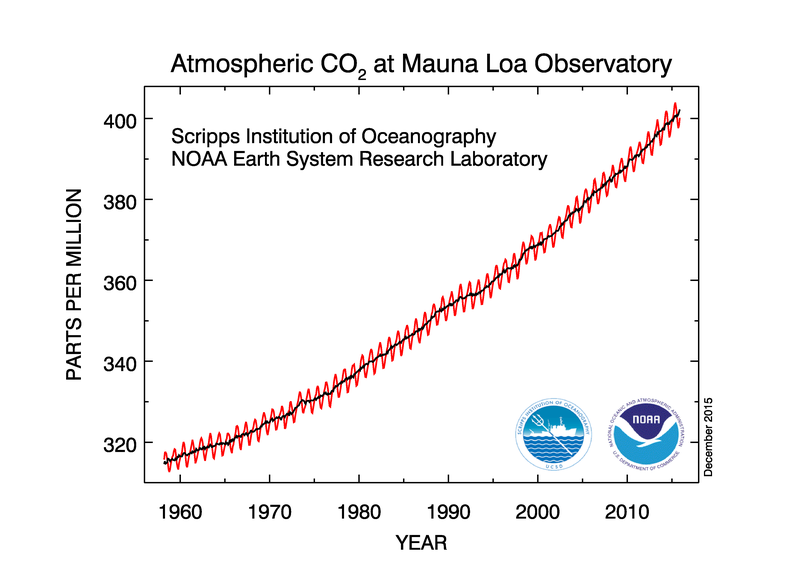 In March of 2015, the global average carbon dioxide concentration reached 400 ppm for the first time in history. The human beings alive today are likely the last generations that will experience carbon dioxide concentrations below 400 ppm for another 1,000 years. The black line shows the average, while the red line shows the winter/summer seasonal variation. Click here to learn more about greenhouse gases, their sources, and how they impact climate change.